Triple negative breast cancer is an aggressive disease with a high likelihood of spreading to other tissues, a process called metastasis. TNBC is primarily treated with chemotherapy. A new study published Saturday in the New England Journal of Medicine, increases the hope to TNBC patients and their families. The study’s findings reported a significant improvement in survival of patients with advanced triple negative breast cancer who received immunotherapy plus chemotherapy compared to those receiving chemotherapy alone. "This is a real advance that is going to allow us to help more people. Once we get regulatory approval, I think the expectation is this will change the standard of care," BCRF Scientific Director Dr. Larry Norton told CNN. The study known as the IMpassion130 trial (NCT02425891) enrolled more than 900 patients across 41 countries. Patients were randomized to receive the immunotherapy drug, atezolizumab, plus standard chemotherapy or chemotherapy plus placebo (in place of atezolizumba). BCRF investigators, Dr. Leisha Emens, Dr. Sherene Loi, Dr. Hope Rugo and Dr. Eric Winer were co-authors on the study. Atezolizumab belongs to a class of immunotherapy drugs called checkpoint inhibitors. It works by interfering with the tumor’s ability to disable cancer fighting immune cells call T-cells. It targets a protein called PD-L1, which when bound to its partner PD-1 puts the breaks on the immune response. It is currently FDA-approved for the treatment of metastatic urothelial carcinoma and non–small-cell lung cancer. 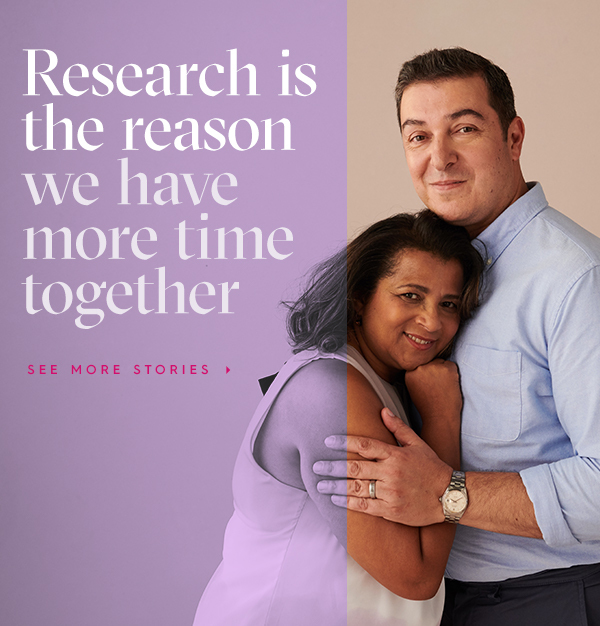 After following the patients for a median of 12.9 months, the Impassion130 trial investigators reported an improvement in progression-free survival (PFS) from 5.5 months in the group receiving chemotherapy plus placebo to 7.2 months in the group receiving immunotherapy plus chemotherapy. For patients with tumors where levels of PD-L1 were high, PFS was 7.5 months in the atezolizumab group versus 5.0 months in the chemotherapy alone group. Similarly, an interim analysis of overall survival showed survival of 21.3 months with atezolizumab vs. 17.6 months with chemotherapy alone. In patients with PD-L1 positive tumors, the response to atezolizumab was even better with overall survival of 25 months vs. 15.5 months with chemotherapy alone. Reporting of side effects was similar between both treatment groups. Low-grade nausea, cough, neutropenia, fever, and hypothyroidism were more frequent with atezolizumab plus chemotherapy. The most frequent higher-grade side effects were neutropenia, decreased neutrophil count, peripheral neuropathy, fatigue, and anemia. 48.7 percent of patients in the atezolizumab–nab-paclitaxel group and 42.2 of patients in the chemotherapy alone group reported Grade 3-4 adverse effects of the treatment, including some immune-related effects in the group receiving atezolizumab. Targeted immunotherapy drugs have produced durable responses in patients with melanoma, lung and some other cancers. However, in breast cancer clinical trials, results have been much less promising. One reason for this is the lack of proteins on most breast cancer cells that can illicit an immune response. An exception to this occurs in some triple negative breast cancers in which a high number of immune cells, called TILS, infiltrate the tumor. A high level of TILs has come to be viewed as a potential marker of a tumor that is likely to respond to immunotherapy. When those TILs also have high levels of PD-L1, they may be more likely to respond to anti-PD-L1 immunotherapy. Clinical trials in immunotherapy in breast cancer have only seen a modest response, even in patients with high TILs. In the Impassion130 study, investigators combined the immunotherapy with chemotherapy and saw a much better response than in previous trials of immunotherapy alone. The rationale of this combination is that chemotherapy damages the tumor cells, which stimulates an immune response. The immunotherapy acts to prevent the tumor from shutting down that response so the tumor-killing immune cells can do their work. The results of the Impassion130 study show that a rational combination with chemotherapy can improve response to immunotherapy in aggressive breast cancer and pave the way for additional studies with other combinations and other types of breast cancer.